Michael Bristow grew up in the village of East Cowick, near Goole in East Yorkshire. He’s been a journalist for more than 20 years and started working for the BBC in Beijing about a decade ago. He now lives in York, but works in London, as the Asia/Pacific editor for the BBC World Service. When we think about travel we often think of epic journeys; a road trip across America or a seat on the Trans-Siberian express. While based in China, as a correspondent for the BBC, I had many of these long and difficult treks to far-flung places. But sometimes I learned just as much by travelling only a short distance, to see something that had been under my nose – but unobserved – for many years. When I was preparing to leave China to return to Yorkshire, I decided to write a book about the life of my Chinese teacher, whose personal experiences seemed to embody the changes that have taken place in his country since the communist party came to power in 1949. 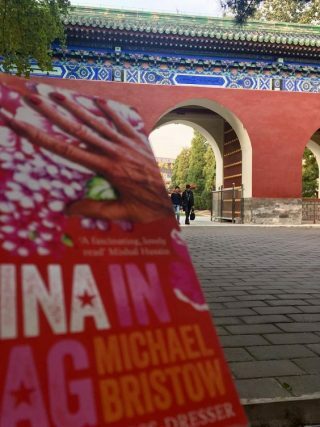 We decided to travel across China to revisit some of the places that had been important to the teacher’s story, and two journeys in particular stick out in my memory, one long and emotional, the other short, but just as important. The longer journey began at Beijing’s main railway station, where the teacher and I caught an overnight train to the province of Heilongjiang, which is wedged between Russia and Mongolia and for much of the winter sits under snow and ice. The teacher had been ordered there as a teenager in 1969. Like millions of other youngsters, he was sent to the countryside by China’s then leader Mao Zedong to learn from the peasants, during a disastrous political campaign known as the Cultural Revolution. Young people who should have been in school were forced to do backbreaking work in fields, quarries and workshops. The communists remain in power in China and they do not allow much discussion about the Cultural Revolution, so it is left to ordinary people to make sense of that period themselves. The teacher took me back to the small community where he had worked, known as Double River Farm, so both he and I could see where he had wasted so many years of his youth. Whilst there, we met the teacher’s greatest friend from that time. His friend’s parents had died young, so when the Cultural Revolution ended the friend had stayed on in Double River Farm. He had nowhere else to go. The two men told tales about the food they had not had to eat and the many hours they had toiled in the fields. Double River Farm has come a long way since the Cultural Revolution. Now it even has a night school for those who want English classes, but it is still a bleak place. That part of Heilongjiang is almost completely flat and when the wind sweeps across the plain it is a depressing place, even in summer. My second journey with the teacher, who is now 65, was much shorter: just six subway stops from where I was living in Beijing. But just like our journey to Double River Farm, it allowed the teacher to make some sense of his colourful life. He took me to see the tree that once stood in the courtyard of his family’s home. 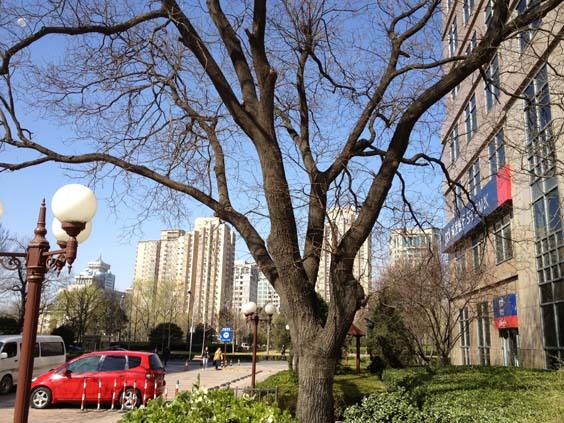 The house has long since been demolished – as have so many in Beijing – but the tree was left as it was. It now stands next to the doorway of a modern office block. The teacher visits his tree every year and he wanted to take me there so he could reminisce about his childhood. He used his feet to mark out the floor plan of his old home as he told me how he would sit under the tree and eat his meals. In a changing country, the tree is a physical link to the teacher’s past. During our trips across China I did not just find out information about the country, I also discovered new things about the teacher. Most spectacularly, he revealed himself to be a cross-dresser, a secret he had kept from me for five years. Sometimes when travelling, you see things you never imagined you would discover. 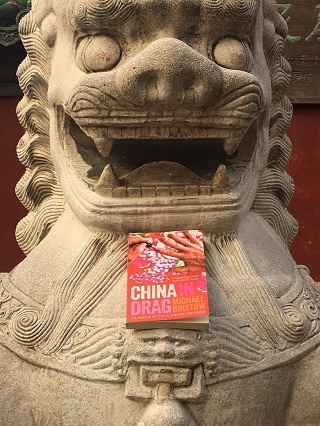 ‘China in Drag: Travels with a Cross Dresser’ by Michael Bristow, is out now. Available in some bookshops and also online.